Why does my mind go blank? what if my mind goes blank?! And we all know that feeling, right? You have rehearsed that speech, standing in front of your bedroom mirror you have it down pat. But for some reason, when you are up on stage and standing in front of all those people (with all those eyes staring at you) your mind suddelnly stops working. For a long time, I just assumed that it had to do with nerves or not practising enough. Untill I started researching the science and relaised there's a lot more to it. 1. The first is the hypothalamus - a small part of the brain. In fact, it's about the size of an almond. But it's important. Put simply, it is the bridge between your emotions and your physical sensations. It plays an important role in the nervous system as well as in the endocrine system. Why is this important? Because it is responsible for the amount and type of hormones that flow through your body. 2. Second is the hippocampus. Named after its resemblance to the seahorse (ish). Humans have two of these, and it is an important part of the brain. It is crucial for the retrieval of facts and concepts. In fact, in Althzeimers disease, it is one of the first areas to suffer damage. Psychologists and neuroscientists generally agree that the hippocampus plays an important role in the formation of new memories about experienced events. 3. The third is the prefrontal cortex (PFC). Located behind your eyes, this is the calm, cool, rational part of your brain. All the things that suggest you, as a human being, are in control are largely mediated here: things like working memory (the ability to hold and manipulate information in your mind), impulse control (the ability to dampen unwanted behavioural responses), decision making (the ability to select a proper response between competing possibilities), etc. When you're rehearsing your speech in your bedroom it's easy right? Becuase it's a no-risk situation. If you stumble over a line or forget something - it doesnt mattter. You can just start again. In other words, you are able to engage in cold cognition. This is the term given to logical and rational thinking processes. When you are rehearsing in a quiet bedroom with no one watching, the hypothalamus slows down the production and release of key stress hormones while the PFC and hippocampus are confidently chugging along unimpeded. Now, let's move to the stage. Perhaps it's a presentation in fron of colleagues at work. We have now moved from the world of no-risk to high-risk. It may even trigger a set of negative thinking. This is the term given to non-logical and emotionally driven thinking processes. Hot cognition is typically triggered in response to a clear threat or otherwise highly stressful situation. With this type of loaded thinking, giving the speech is no interpreted by your body as the threat. When a threat is detected, the hypothalamus stimulates the generation of several key stress hormones, including norepinephrine and cortisol. What does this mean? The PFC stops working and essentially wipes out your working memory! It also stops the rational, logical PFC from influencing other brain regions. In short, when you interpret the speech as a threat- a stress response is triggered in your body. Your working memory is wiped clean, your recall mechanisms are disrupted, and your hypothalamus overrides the normally rational cold cognition driven by the PFC. So can we do anything about it? Of course! First of all let's start with some of the triggers. When you're not used to speaking in public, one of the most uncomfortable moments come with the silence. So, you compensate by filling in any possible gap with words. Not only does this make it hard to listen to you - it puts even more pressure on you if you do have a mind blank. The answer is to get used to the silence. When you rehearse, also include long pauses at the end of each paragraph. If you're really keen, record your rehearsals and watch it back. Before you watch the recording, estimate how long you thought the silence went for and then time it. You will be surprised at how short these little gaps were. The possibility of a mind blank increases when you are aiming for perfection. Before you get onto stage, accept the fact that your speech will not be perfect. No one's speech is ever perfect. Writing a speech can be a complex exercise. Most people can easily tell you what their speech is about. However, they will struggle when asked to explain the core message of their speech. 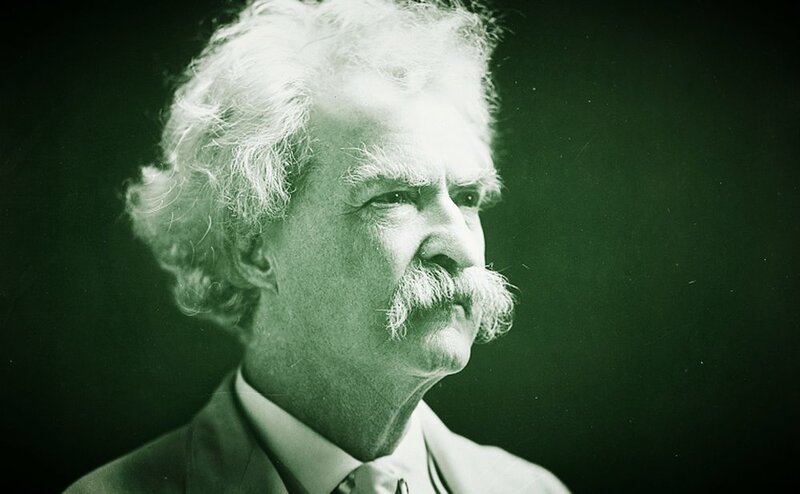 As Mark Twain once said the time to begin writing an article is when you have finished it to your satisfaction. By that time you begin to clearly and logically perceive what it is you really want to say. Too many speakers fall into the trap of believing that they are expected to be the smartest person in the room. Or at least the smartest person on the subject matter. It is this type of thinking that puts too much pressure on the speaker. Yes, when the spotlight is on you, people are looking to you for answers. But they don't necessarily expect you to have all the answers. In fact, sometimes the best way to gain authenticity is to simply admit "you don't know the answer, but you can find out"
The speaker who tries to bluff, or assumes they have all the answers is usually the last one asked for an opinion. The best techniques are always invisible. If you can remember the first time you ever drove a car - it was terrifying. You are in control of a dangerous and potentially deadly activity. The simple act of turning right at a set of lights was overly complex. You had to remember how to watch the clutch, change gears, look for oncoming traffic all at the same time. Of course after few weeks, you can do the same thing while letting your mind drift. In psychology, this evolution is described as the four stages of competence, or the "conscious competence" learning model. It relates to the psychological states involved in the process of progressing from incompetence to competence in a skill. You have never given much thought to how you sound or look when you give a presentation. You haven't even thought about improving your skills. The bad news is that you probably aren't that good at presentations, but the good news is that you are ignorant to the fact! You are completely aware of how bad you are at presentations. You might have tried a few new techniques, but they are new and they feel a bit strange. You have now mastered a whole range of new skills, but you need to concentrate to keep it all together. You have now reached mastery, The techniques are now a part of you and you can use them without consciously thinking about it. Are you often asked to give presentations? Do you always receive compliments after you give a presentation? Do you actively persuade people through your presentations? Are you ever asked to repeat points you have already made in your presentation? People seem to remember things you have said during your presentation? Next record yourself given a short presentation. Take a moment to describe the impression you get from seeing yourself speak. List the things your were proud of. Then list the things your need to improve. By now you should have a good idea of where you are and what you need to do. After 40 years in show business you would think John Cleese had conquered his stage fright. John Cleese had stage fright in his Footlights days, and this continued through his pre-Python work as a television actor. Before his first live TV performance, on The Frost Report, “I sat and watched the second hand on the wall clock as it steadily ticked off the final moments”, feeling “TOTAL DREAD”. Sometimes the best way to grab the audience's attention in your speech is to adopt a view that is totally contrary to the status quo. John Waters graduation speech is a great example of this approach. Your talking speed can make a huge difference to your success as a public speaker. So, what does science tell us about the persuasiveness about talking speeds? Surprisingly the results are not that clear cut. "The Liberal Party has dealt with the spill motion and now this matter is behind us." Why say this nonsense? It's quite clear to everyone that this matter is not over. Abbott still faces a big challenge in holding on to his position as leader. There is a good lesson here for anyone writing a speech. It's about authenticity. Authenticity is crucial if you ever want to be persuasive. By opening their press statement with this sentence, the whole message was undermined. Do you find Tony Abbott authentic? Yesterday's speech by Prime Minister Tony Abbott to the National Press Club was one of the most important in his political career. It was a direct pitch to his colleagues to keep their trust in him. Abbott message made it clear that he intended to stand and fight - for the Liberal Party, for his government and for his own leadership – rather than meekly stepping aside. However, Abbott has never been the strongest orator and according to most reports, he failed to inspire his intended audience. Queensland Liberal MP Ewan Jones probably summed it up best when he said Abbott's language needed to be “less corporate lunch and more cafe”. Abbott had clearly poured a lot of work into the speech, but in the end it was more pedestrian than inspiring. So where did it all go wrong? 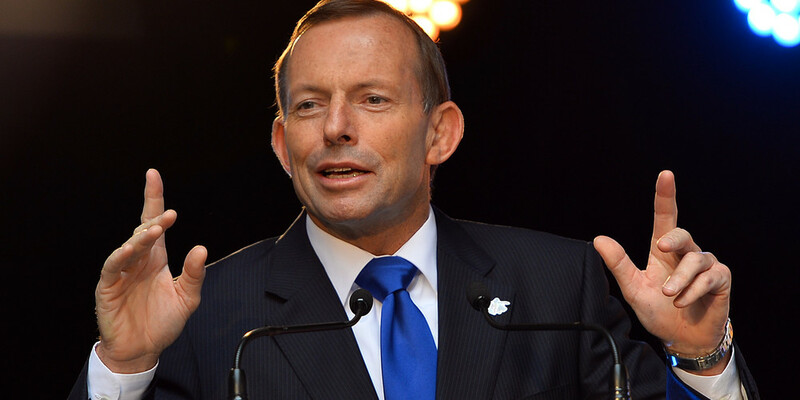 Here are three problems with Abbott's speaking style. While there is nothing wrong with using notes for this type of address. Abbott was constantly looking down which then distracted him from delivering his best lines with gravitas. The video below is a good example. It is a strong part of his speech where he justifies the spending cuts due to the large level of national borrowing. However, just when he is about to drive home his point, he keeps checking for his next line which just makes his delivery stilted. Generally, Abbott's body language is quite good. He has a neutral stance and appears comfortable behind the lectern. But there was a moment towards to the end of the speech where he implored the audience to join him on a journey and he waved his arms wildly in the air. Unfortunately it looked very contrived and actually detracted from his message. If you want to be perceived as authentic then your use of language is critical. Unfortunately, Abbott's address constantly referred back to meaningless slogans. This passage in particular grated: "To create more jobs and more opportunities for families, we simply have to build a stronger economy. A stronger economy is the foundation of a stronger Australia. And if the economy is stronger, everyone’s life is better." This is just stating the obvious. It should be taken as given that we all want a stronger economy! This is the type of empty rhetoric that makes the voters turn off. “You’ve got to be able to communicate in life. It’s enormously important. But to understand his answer, you have to realise when Buffett was a younger man, he absolutely terrified of public speaking. During university he would only select subjects that didn't require a presentation. However, like many aspiring businessmen, he he realised during his first job that he needed to conquer this fear if he was going to get anywhere. So, he enrolled in a Dale Carnegie public speaking course. Needless to say, he got over this fear. Nowadays, people flock to see the "Oracle of Omaha" every year to witness him deliver his annual address to his shareholders. Some people buy shares in his company just so they can attend this presentation! But it wasn't just a case of joining a class. Buffett admitted that in high school and college he held a deep-seated fear of public speaking. Even the thought of taking a public speaking class unnerved him, and he backed out at the last second the first time he signed up. But he realized that you just have to do it, and he did. Part of great communication is making sure you read a lot. Buffett says he reads five to six hours a day.